Irish superstar Imelda May has today released a powerful music video for her new single, ‘Should’ve Been You’. 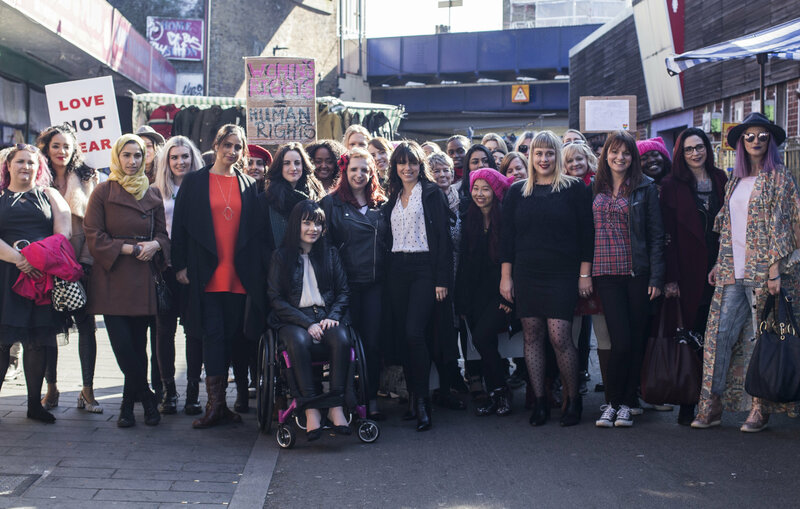 Inspired by the recent Women’s March, Imelda herself created the concept for the video, which was filmed in Brixton, London, by director Laura Scrivano. Shot in one continuous take, the video sees Imelda and a group of everyday ‘superwomen’ – real Imelda May fans who responded to a Facebook post – march through Brixton Market holding placards with messages of solidarity and empowerment. It follows Imelda’s appearance at the Brit Awards wearing her #dresslikeawoman outfit. The track is taken from her hotly anticipated forthcoming fifth studio record, ‘Life. Love. Flesh. Blood’ – produced by the legendary T Bone Burnett and featuring musical contributions from guitar hero Jeff Beck (on ‘Black Tears’) and piano legend Jools Holland – it is fast becoming one of the most anticipated albums of this year. Praised by publications including Mojo (“A powerful new direction”) Uncut, The Mirror (who described her new music as “Raw and real”) to the Mail On Sunday (who made it Album Of The Week, gave it four stars and stated: “Great albums tend to be growers, but this one grabs you at first acquaintance”), The Daily Telegraph (comparing it to Bob Dylan’s classic album ‘Blood On The Tracks’) alongside support from US industry publication Billboard Magazine as well as UK tastemaker music publications from Foxes Magazine to The Four Oh Five. Bob Dylan also recently revealed he is a fan of Imelda, including her alongside Iggy Pop and Valerie June as his favourite recent artists, in a rare interview with Bill Flanagan, published on his website. Imelda May, born and raised in The Liberties area of Dublin, has become one of Ireland’s most celebrated female artists in history. Discovered by Jools Holland, who asked Imelda to support him on tour, Imelda has gone on to perform alongside legendary artists including Lou Reed, Bono and Smokey Robinson and can count high profile artists including Bob Dylan and Bono amongst her fans. Her previous album ‘Tribal’ debuted at #1 in Ireland and #3 in the UK. Imelda has also announced her extensive 2017 UK Headline Tour in May, including a night at The London Palladium. A string of shows in the U.S. and Canada in June follows, including three dates as support for ‪Elvis Costello.